The Land and Property Information NSW (Authorised Transaction) Act 2016 authorised the grant of a concession to allow the private sector to operate the land title business in NSW. The Act provides for the Registrar General to be the regulator of a privately-operated land titles business. Prices of regulated services are only permitted to increase by up to the CPI. The Government invited the private sector to operate the land title business under a 35-year concession. The concession started on 1 July 2017. How does the regulator operator model work? The Land and Property Information NSW (Authorised Transaction) Act 2016 provides for an authorised operator to operate and maintain the register, the delegation of the titling and registry functions from the Registrar General to the operator, and the functions of the Minister and the Registrar General in overseeing the authorised concession. The Act makes amendments to the Real Property Act 1900 and other land titles legislation to allow the operator to perform the operational functions of the register, but under the oversight of the Registrar General. The Registrar General is responsible for ensuring that the requirements of the Real Property Act 1900, the Conveyancing Act 1919 and other legislation are performed. The power and duty to register dealings and plans will be delegated to the authorised operator, who will be required to comply with all Acts and laws applying to land registration. The Registrar General has introduced lodgment rules to enable stakeholders to engage effectively with the registry business. The Registrar General's Guidelines will also continue to be provided as guidelines. Under the new regulator operator arrangements, the operator must meet service level standards. These cover the timeliness and availability of core registry services and systems. They are designed to ensure all the systems you need to lodge dealings or survey plans, seek information about titles, or gain customer support for your questions are available, and the services are provided efficiently. Currently, NSW Land Registry Services (NSW LRS) is reporting against the same service levels the former Land and Property Information (LPI) used in the past for its own performance monitoring. However, unlike before, if the operator fails to meet any service level, the Registrar General may impose a penalty. 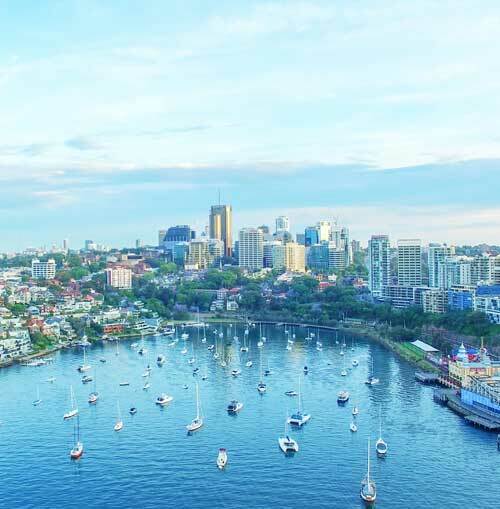 This is similar to other concessions in NSW, such as Ports NSW, or the Sydney ferries, where the private operators may be required to pay penalties for not meeting agreed services standards for the timeliness and availability of services. The Land and Property Information NSW (Authorised Transaction) Act 2016 provides for the establishment of standards with which NSW LRS is required to comply. The ORG is working with NSW LRS to roll out more service standards, and to continually review and refine the KPIs in use to ensure that they deliver meaningful information to customers. The ORG publishes a high-level summary of each quarterly report. pursues efficiencies and improvements, including through the implementation of new technologies. To ensure the integrity of the register, both the legislation and the concession arrangements include robust step-in powers. These powers can be exercised where there is a threat or a likely threat to the integrity of the register and allow the NSW Government to operate the business if necessary in emergency circumstances. The NSW Government is committed to protecting and promoting competition and innovation amongst information brokers, service providers and others who are in the business of providing access to titling and registry services or offer products that use information from the registry. The Land and Property Information NSW (Authorised Transaction) Act 2016 requires that the concession includes measures that protect competition in downstream markets. The Land and Property Information NSW (Authorised Transaction) Act 2016 specifies that the Privacy and Personal Information Protection Act 1998 applies to the private operator as if it were a public sector agency. The Government amended the Real Property Act 1900 to give the Registrar General administrative review powers. Any person dissatisfied with a decision of the authorised operator can apply to the Registrar General for review. The operator will be required to give effect to any decision of the Registrar General made as a result of a review.